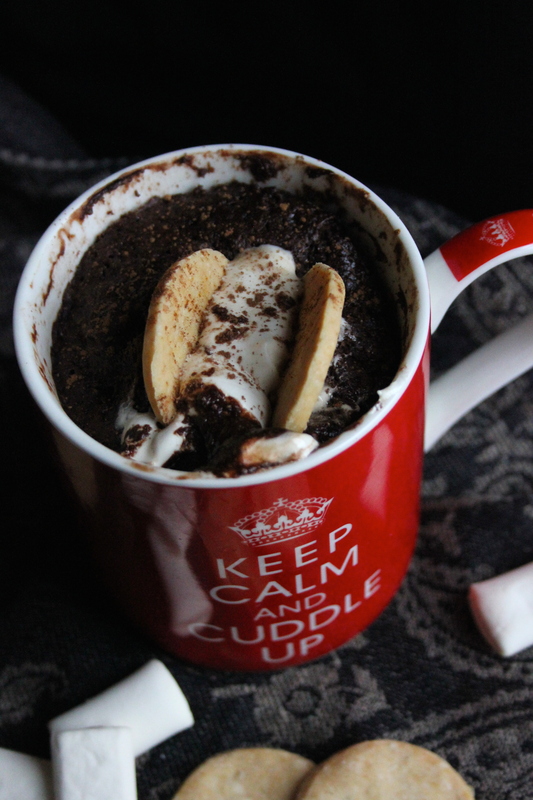 Instant satisfaction has a name: Vegan S’Mores Brownie In A Mug. 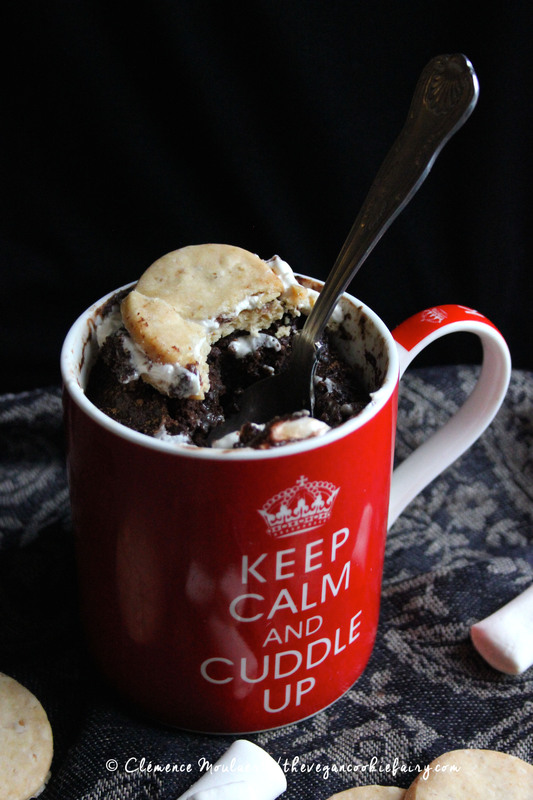 I could make cakes in two minutes in my microwave oven. Can’t find vegan marshmallows at your local supermarket? I got mine from Holland&Barrett, a health food shop chain in the UK, so check your local health food shop, they might stock some vegan marshmallows. If not, there’s always the Internet. This cake is beyond easy to make. 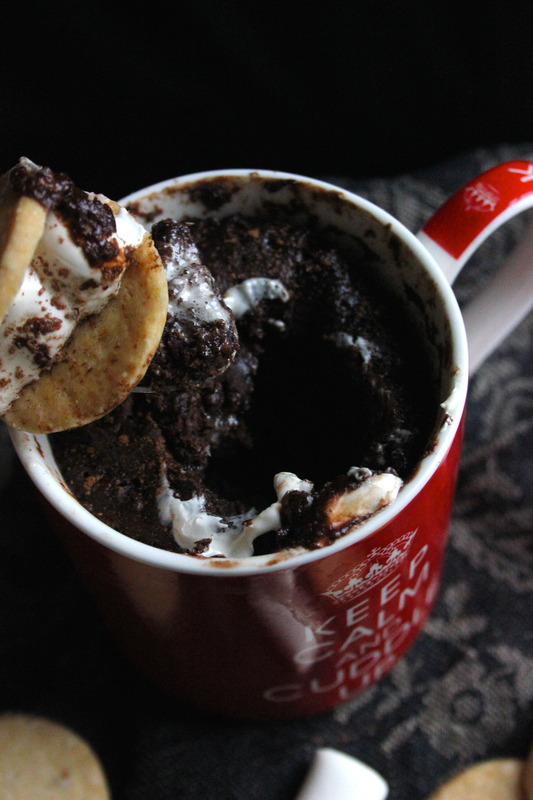 If you haven’t made cakes in a mug before, try it now! I think it’s a pretty fun way to surprise your friends too (how often do they get served cake from a mug, honestly?) so it’s a fun idea for a party or afternoon tea. On a more serious note, I’d be grateful if you could take this survey, which will help me improve your experience as a reader on this blog. Your opinion means everything – quite literally everything, since there is no blog without readers – to me, so I’d really appreciate your input. 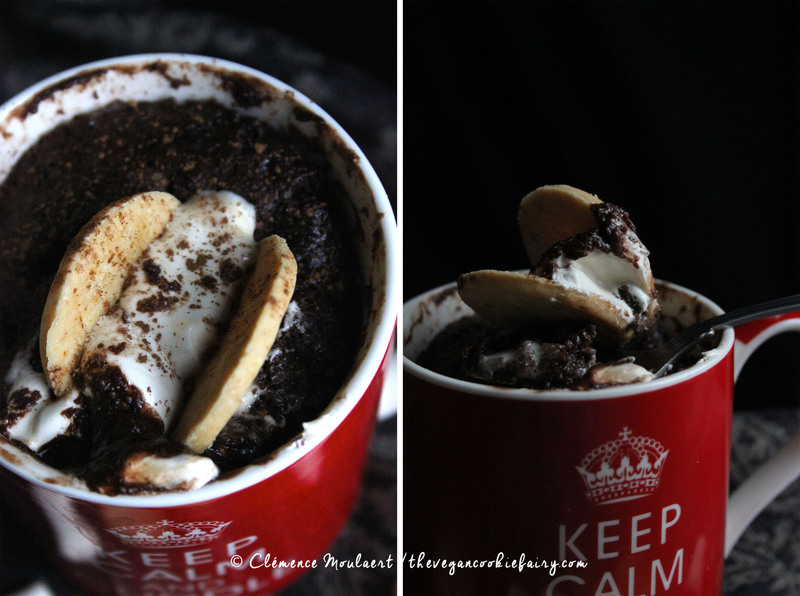 [yumprint-recipe id=’13’] Hi, my name is Clem and I’m a microwave addict cook. Fellow microwave oven addicts, raise your hands! I’ve never heard of Freedom marshmallows and I am swooning over them after seeing them! This is perfect. 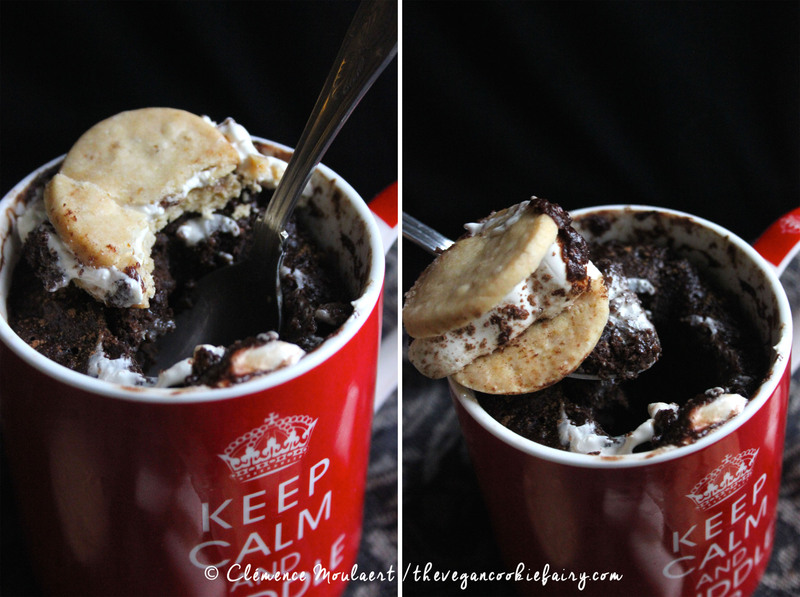 S’more is one of my favorite flavors but it can be difficult to achieve with vegan ingredients. 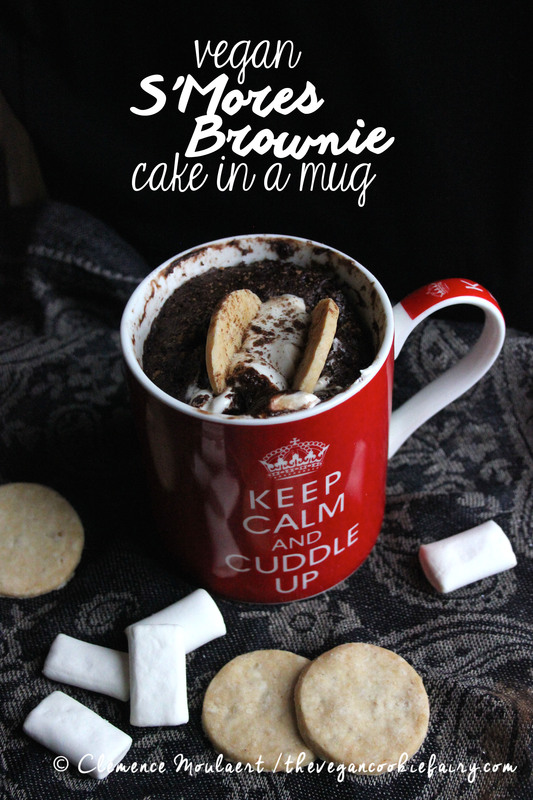 Definitely pinning this to make later! They are the first commercial vegan marshmallows I was able to find in the UK and they’re really delicious! They taste just like the marshmallows I remember trying in my childhood. It’s wonderful that they’re now available in Holland&Barrett, though you may need to check availability of stock in your nearest H&B branch. I don’t usually cook with microwave, but It’s definitely the best to heat food without having to use the normal oven or making a mess. Anyway, I like your blog and your writing! is this page broken? i can’t seem to get the recipe to actually show up… it sounds delicious and i’d really like to try it!